A true Cockney comedian known for his individual and cheeky humour was born in 1923, in Shoreditch, London. Charlie served a hard showbiz apprenticeship in working men's clubs, pubs and private parties but he gradually emerged to be the Top of the Bill in the glittering night clubs and well-known cabaret spots. He was the only comedian to have signed a three-year contract at the London Palladium. He entertained the Royal Family on no less than nine occasions. He guested on numerous Televison shows including, 'The Golden Shot', 'Meet'n Greet', 'The Comedians', 'Des O'Connor Show', 'Celebrity Squares' and 'Look Who,s Talking'. He also appeared in numerous radio programmes. But he was always supreme with a live audience especially as a guest speaker at the great hotels of London?s West End and Mayfair The Dorchester, The Savoy, The Grosvenor House and the Cafe Royal. The Variety Club of Great Britain presented him with the 'Top Award for Comedy' in 1973. He was resident after-dinner speaker, for five years, at the World Sporting Club's monthly meetings and had a regular slot at boxing evenings staged at London?s Grosvenor House Hotel by Jack Solomons. Charlie always remained true to the traditions of his Cockney humour by showing the funny side of life around him, digging at officialdom and captivating audiences wherever he appeared. "I served in the Fleet Air Arm during World War II and often used to tell jokes to the lads when they were feeling depressed. I never thought about being a comedian. After the war I entered a talent show, as a singer, but when I got on stage the people started laughing. It was a wonderful feeling to see all those smiling faces out there. Frank Sinatra didn?t need to worry because I decided to become a comedian. Whilst learning my trade (at 50p a night!) I realised that once the audience like you, there is no problem. People will laugh at a friend, but not at a stranger." Charlie was always known as the comedian's comedian. For most of his life he lived in a council house in Islington. About ten years ago he and his beloved wife, Julie, moved into the countryside of Suffolk. They have two children Ian and Janet. Charlie was initiated into the Chelsea Lodge in 1978. In 1977 he was voted Rat of the Year and in 1982 he was unanimously voted, by his fellow Water Rats, to be the King Rat, the highest honour given to a member of the Grand Order of Water Rats. 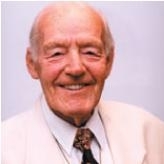 Throughout his life Charlie was always on hand to give of his time and his talent to help not only the GOWR Charities Fund but many other charitable organisations and causes.